This lodge has long been a hideaway for celebrities and sportsmen in search of comfort, scenic beauty, and the thrill of landing a big Pacific salmon. The lodge is also known for its excellent Sunday brunch. When it comes to luxurious seaside inns, this secluded waterfront getaway has it all: comfortable atmosphere, exceptional hospitality, spectacular views...which include water, mountains and the ever evolving English rose gardens. Now this is a romantic retreat. It's called "The Castle in the Mountains." This lovers' paradise features hand-carved four poster king size beds, jacuzzi tubs for two and cozy fireplaces. Special guest rooms have private verandahs which overlook Finlayson Arm, the Southern Gulf Islands and Washington state's Olympic Mountain Range. If you're thinking honeymoon or special anniversary...you're on the right track. From the moment you arrive at this cozy English-style country cottage, you start to unwind. Guests feel right at home here, especially when curling up by the fireplace or relaxing out on the verandah, which happens to be a great place for viewing the beautiful English gardens. Peace and tranquillity are what you'll find at this beautiful Country Estate, nestled in the hills of Sooke. When visiting here, you'll experience a magical blend of "the wild and the tamed" just by strolling through the landscaped grounds or climbing the trails of the surrounding woods. 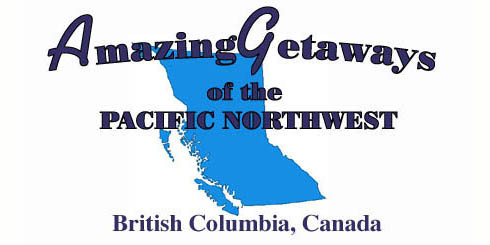 This waterfront resort sits at the edge of the western oceans on the verge of Canada's Pacific Rim National Park. This is the land of recreational activity. It's also without a doubt "God's Country." A great place for families. Whistler timeshare suites and chalets offered by SellMyTimeshareNow.com are exquisite accommodations surrounded by the town's world famous ski slopes. Find an affordably priced unit and experience ski in-ski out access, private fireplaces, and balconies with mesmerizing views. This stunning lakeside retreat sits on 45 acres of beautiful, private, forested land just north of Whistler Village bordering on the River of Golden Dreams.